There is a reoccurring trend in some early childhood education studies: disadvantaged children who attend preschool arrive at kindergarten more intellectually and emotionally prepared than peers who have had no preschool. Yet by third grade, their math and literacy scores generally pull into parity. Many critics call this fadeout and claim that quality early childhood education has no lasting effect. Not so, and not by a long shot. Too often, program evaluations are based on standardized achievement tests and IQ measures that do not tell the whole story and poorly predict life outcomes. For example, the well-known Perry Preschool program did not show any positive IQ effects just a few years following the program. Upon decades of follow-ups, however, we continue to see extremely encouraging results along dimensions such as schooling, earnings, reduced involvement in crime and better health. The truly remarkable impacts of Perry were not seen until much later in the lives of participants. Similarly, the most recent Head Start Impact Study seemingly shows parity at third grade while numerous long-term, quasi-experimental studies find Head Start children to attend more years of schooling, earn higher incomes, live healthier, and engage less in criminal behavior. Considering this, it is especially important that we see HSIS through before condemning Head Start. The decision to judge programs based on third-grade test scores dismisses the full range of skills and capacities developed through early childhood education that strongly contribute to future achievement and life outcomes. The success of an early childhood program ultimately comes down to what is being evaluated, and too many evaluate the wrong things. Too many measure only half the child, focusing on IQ and cognitive gains at the expense of social and emotional skills that are often stronger determinants of adult success. Conscientiousness, self-control, motivation, persistence and sociability have far greater influence on full-time employment, lifetime wages, health, family and social outcomes than IQ and cognitive skills. In fact, these skills facilitate better performance on achievement tests despite treated children performing no better on IQ tests. Quality, persistence and the right measurements are essential to actualizing the promise of quality early childhood education to elevate the lives of disadvantaged children and families. The Abecedarian preschool program in North Carolina started at birth and provided parental education, early health, nutrition, and early learning up to age five. After over 35 years of follow-up study on the treatment and control groups it is the only early childhood program that permanently raised IQ and instilled greater character skills which, in combination, delivered greater returns in educational achievement, employment and, most importantly, health. At age 35, treated males had zero incidence of metabolic syndrome — a precursor to chronic disease — in stark contrast to 25 percent of males who didn’t participate in the program. A 25 percent reduction in chronic disease is lifesaving and cost saving. Research clearly shows that we must invest dollars not dimes, implement high quality programs, develop the whole child and nurture the initial investment in early learning with more K-12 education that develops cognition and character. When we do, we get significant returns in better education, health, social and economic productivity that more than pay for the cost of quality early childhood programs. Yes, quality early childhood education is expensive, but we pay a far higher cost in ignoring its value or betting on the cheap. 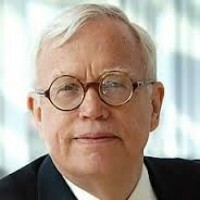 Nobel laureate James Heckman is the Henry Schultz Distinguished Service Professor of Economics at the University of Chicago and an expert in the economics of human development.